GUEST ARTICLE: Imagine if your grocery shop had no prices marked on the shelves and they simply billed you with a lump-sum statement every quarter. Yet, this is how most households and businesses pay for their electricity consumption. Using Power Meters can help you gain control and cut your power bill. If you’re the one that pays the power bills, I bet you can tell me (roughly) the dollar amount of those bills. But do you know how many kilowatt hours (kWh) of electricity or megajoules (MJ) of gas you use? And how much each of your appliances are contributing and at what time? Most people cannot answer the first question, and only those with some form of energy monitoring in place can answer the second. Households and small businesses are feeling the pinch from ever rising utility bills. What’s worse, is those making positive change (by reducing consumption) may not even be aware of this (because all they see is their bills getting larger). Read your bill – This sounds obvious, but very few people actually do it. What I am referring to here is the consumption information, in particular a summary chart (presented as kWh or MJ per day). Almost every utility bill has one, and it is an excellent tool to track how you are going from bill to bill. They usually show a comparison with last bill, or even better, same period last year. This will allow you to track the changes you make over the long term. 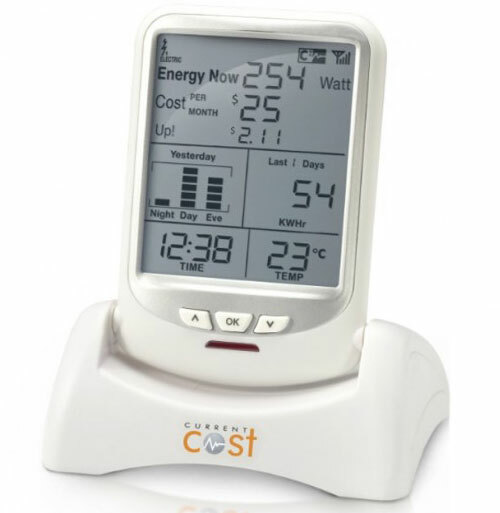 Install a wireless energy monitor – This is a little more involved, and a good quality monitor will set you back around $150. However, these devices are proving highly effective at informing and motivating users into action. They work by sensing the current draw of your entire home (or workplace). This is done by a current clamp at your meter box which clamps around your main supply cable. This signal is sent inside to a display which shows you exactly how much electricity you are using and how much it is costing you. It is true that doing the above three things won’t change your bills on their own. Simply owning a power meter doesn’t do much for your energy usage! What these actions can do well is motivate change by improving your understanding of how you are using energy. Some studies have shown that these monitors will help you save 40% of your usage. It all depends on how you turn the information into action. For further information check out the products mentioned above or Steplight’s free guide: measuring and monitoring energy consumption (PDF). This guest article has been written by my friend Ryan McCarthy co-owner of Steplight Pty Ltd which assists households and small businesses in reducing their ecological footprint especially electricity usage. Great seeing this guest from you Ryan! I am more than ever concerned about the plethora of energy suppliers and forever wondering “how did we use that much power” so I am looking forward to trying out the latest smart meters in my home. At Wattwatchers and OurGreenHome our goal is to create energy use information tools that go way beyond supplying boring bits of data. The key is providing contexualised support and information that suggests ‘how to’ take action, and keep doing it. That’s when deep and persistent reductions can take place just as your quote says is possible. Next PostNext Mobile Games and Lolcats: Ways To Relax and Unwind or Waste of Time and Cognitive Surplus?